Here I was, thinking I would need to wait until there was a Republican POTUS (potentally a really long wait) ito bask in the would-be-funny-if-it-weren’t-so-egregious hypocrisy of the left, when little did I know that a Presidential hopeful can bring it out! As you surely know, Chris Christie is knee-deep in a controversy around the George Washington Bridge – one of his aides apparently inflicted traffic on the citizens of Fort Lee, NJ, as an act of political revenge. An abuse of power? Absolutely. But it seems almost charmingly low stakes when you consider the way our current President has toed – and sometimes sprinted past – the boundaries of his own executive power, such as ordering a foreign journalist imprisoned; collecting your phone data whether you’re the leader of a sovereign nation, a reporter, or a just a regular American citizen allegedly protected by the Bill of Rights; or crafting a kill list and then carrying out process-free executions from the sky, occasionally of Americans. So place your bets. Bet No. 1: Chris Christie is the slappy, snippy, sly dog he’s played for us these past few years, the kind of guy who runs a ship so tight and digs so deeply into a problem that something like Bridgegate could never happen on his watch without not only his knowledge, but his blessing. Bet No. 2: He’s a bumbling moron. 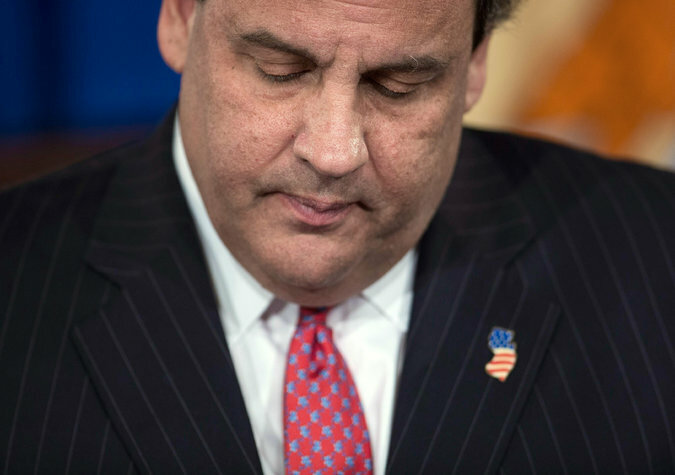 Why would several of Christie’s closest associates work to exact political revenge on someone who’d screwed Christie and not let the governor know? There would be no incentive for them to risk their jobs or worse, unless they could get credit with the boss. If they really went rogue and screwed the motorists of Ft. Lee without the governor’s sanction, where the hell did he get these people? How many more people like this does he surround himself with? It’s entirely possible that Christie didn’t know very much about the bridge episode. It might just be the product of the culture he’s created, or permitted, to arise around him. Hey, you know what? These guys are right. At the end of the day, being the person in charge means being responsible for the actions of those beneath and around you, whether or not you were directly involved. And leaders do set the tone for the culture of their teams and the workplaces they inhabit. I just wish they’d hold a President who stonewalls the media, wages an unprecedented war on whistleblowers and claims to learn what his administration is up to by watching cable news to the same standard. I mean, he’s either a power-grabbing, vengeful, dissent-squelching guy, or entirely incompetent, right?